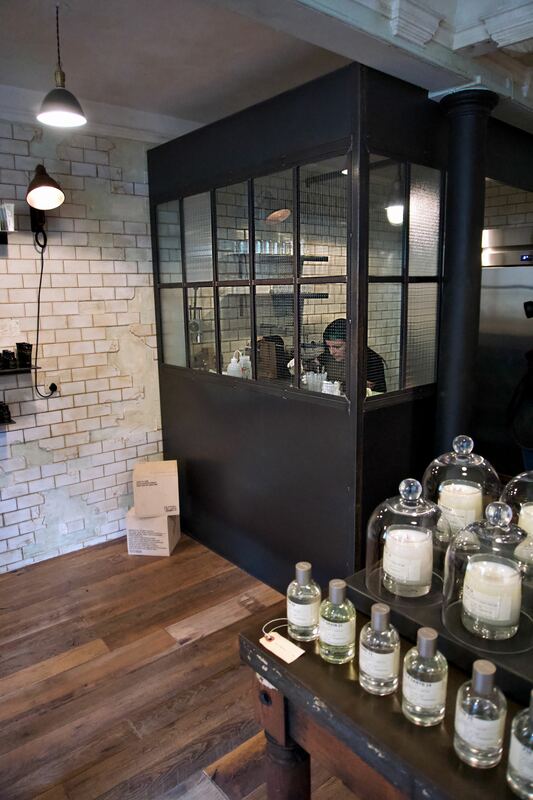 Oh hello Le Labo, welcome to Edinburgh. 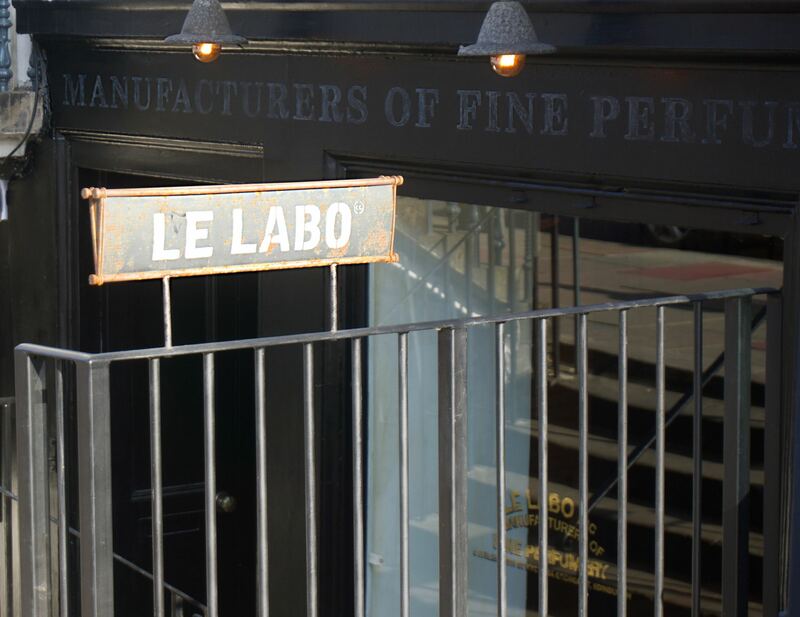 In a year that has seen numerous luxury additions to Edinburgh, we can now say we are home to the only Le Labo boutique in Scotland. The new boutique is located in the heart of Edinburghs New Town on little old George St.
Keep scrolling to see inside the Edinburgh store. 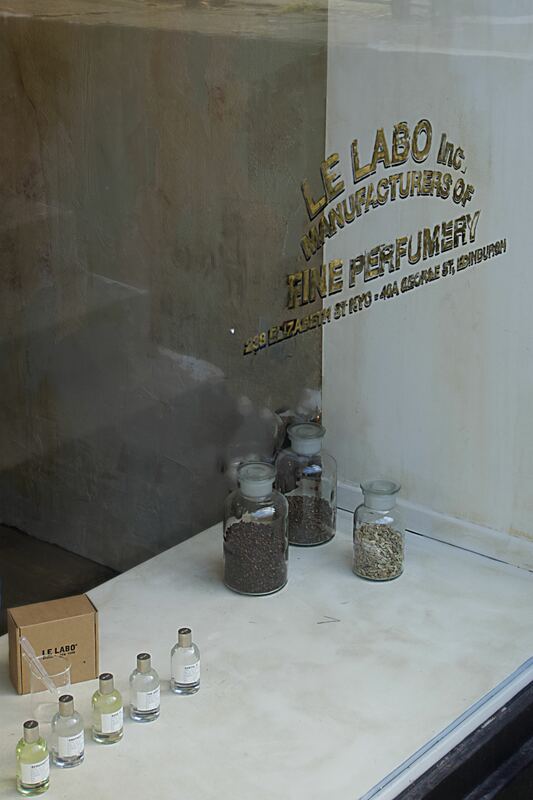 Stepping into a Le Labo store is always a bespoke experience, with each store carrying its own character – just like the signature scents. 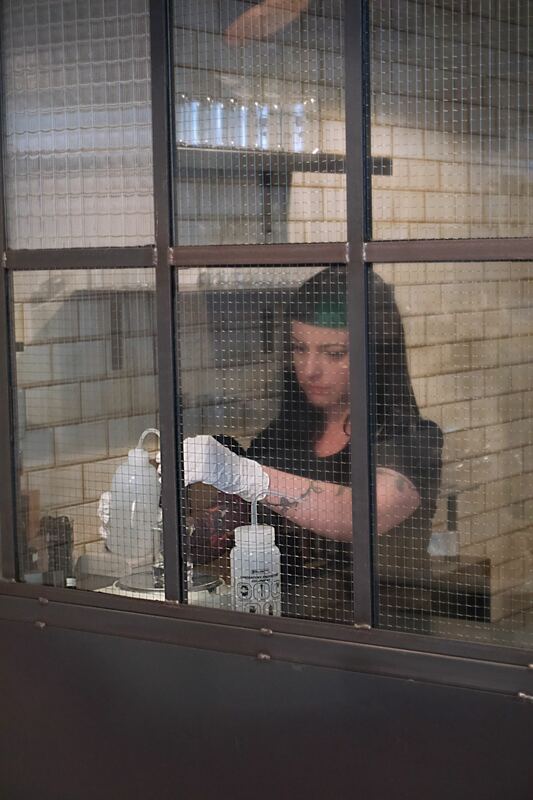 Explore the core 16 unisex scents in store and have your chosen fragrance freshly blended for you on site (see images of my scent being created below). 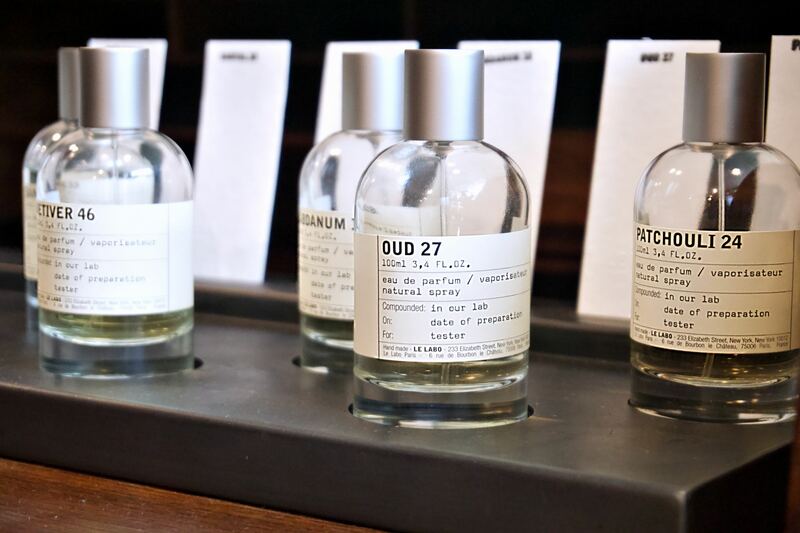 Fragrance bottle labels are printed to order with personalisation, so you can have your name on your perfume bottle. Or a message for a very lucky friend if it is a gift. 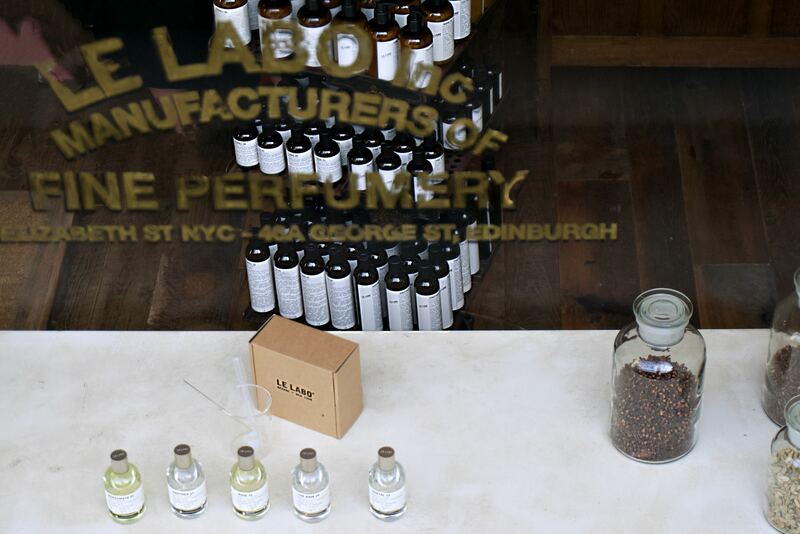 Zack and I took a trip to Le Labo Edinburgh to explore the fragrance collection. 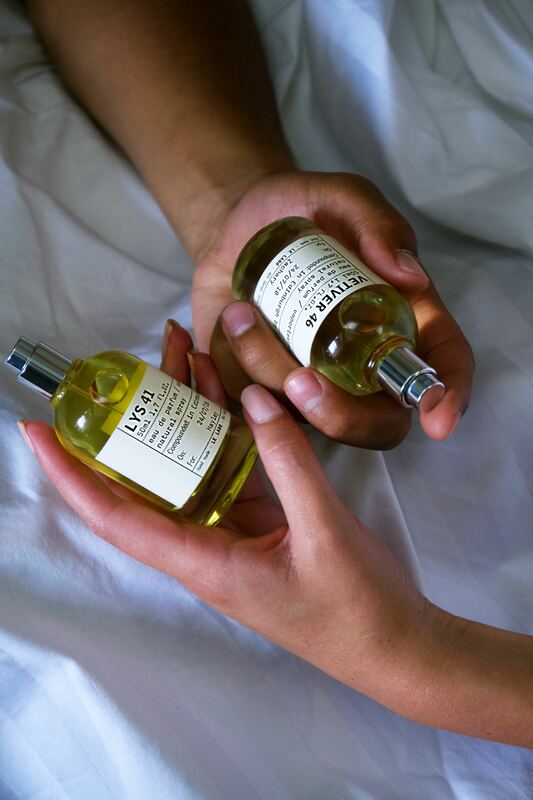 With all 16 core scents being unisex, it gave us room to play with scents that suited our skin and worked well together as a pair. The lovely team in store suggested some scents for Zack that he normally wouldn’t have tried, such as Rose 31. It surprisingly settled beautifully on his skin thanks to the warm, spicy and woody notes such as cumin, olbanum, cedar and a touch of amber. Our final decisions were LYS 41 and VETIVER 46. LYS 41: True to heart, I chose a white floral scent just like my wedding fragrance that you can read about here. 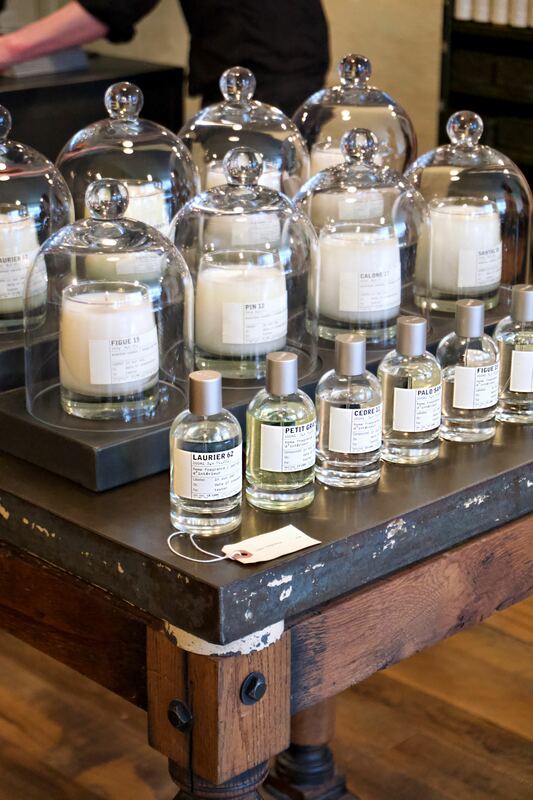 LYS 41 is a blend of jasmine, tuberose absolute and lily. Bewitching in its noble, warm and sunny approach yet treacherous once caught in its web of noble woods, vanilla Madagascar and musks. 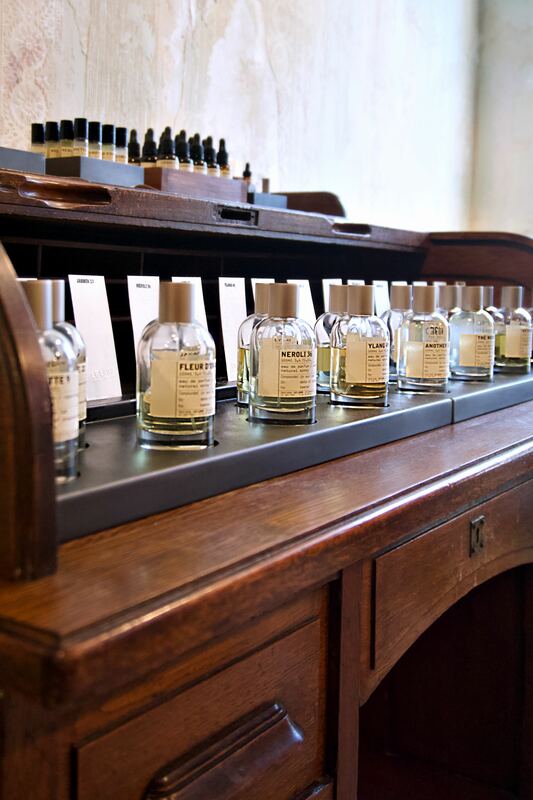 VETIVER 41:Zack chose ‘The Rolls Royce of Vetivers’. The most masculine of all Le Labo creations, although definitely a fragrance I would also wear on a winters day. Featuring Tahitian vetiver, pepper, amber, bergamot, vanilla and cloves. What can you expect in store? 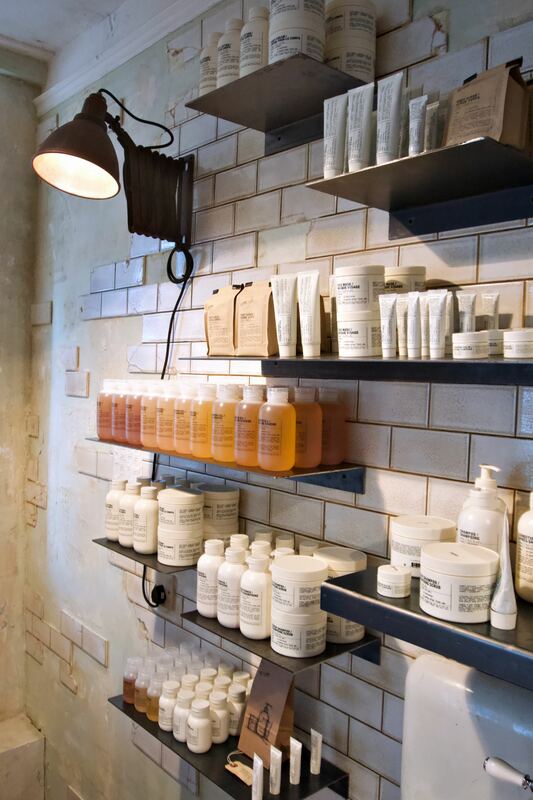 Le Labo Edinburgh is beautifully rustic, with a friendly team ready to guide you through the products. 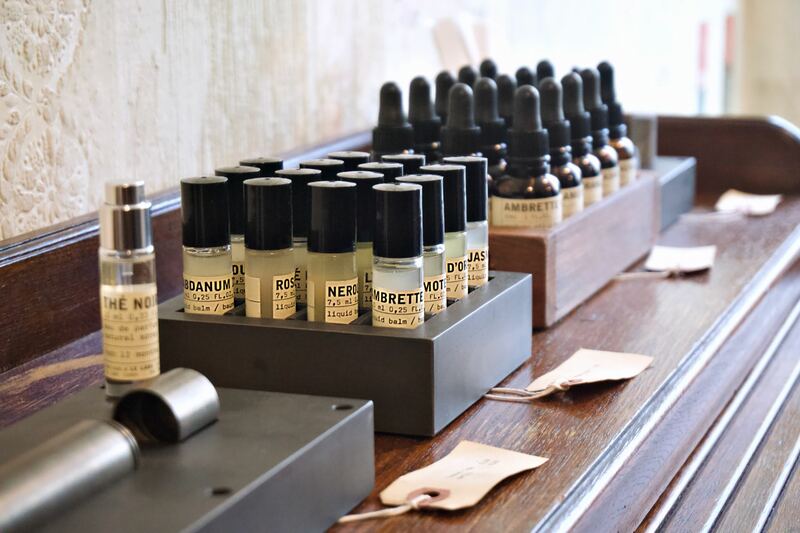 The store features other key ranges: an affordable plant-based body & haircare line that is genderless, claimless and cruelty-free, soy-based wax candles, home fragrance, mens grooming and body care to match the signature scents. 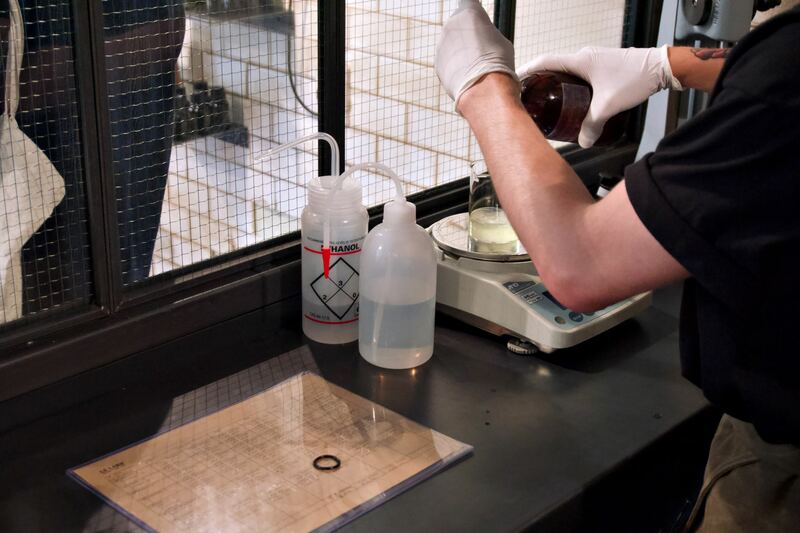 Keep scrolling for a look into the Edinburgh store. 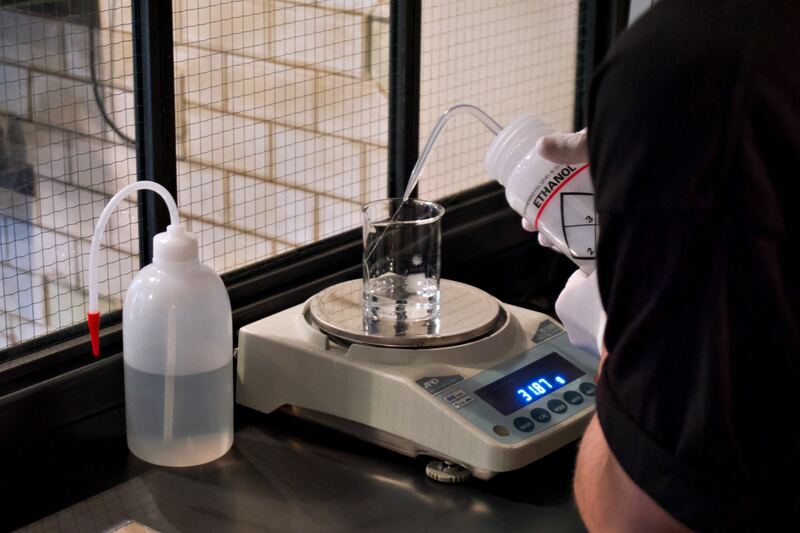 To explore for yourself, head to 46a George Street, Edinburgh EH2 2LE.